It’s Valentine’s Day and love is in the air….or so they say. But just who is this “they” we are always talking about? 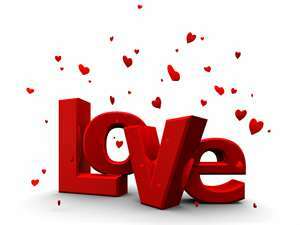 According to 2012 statistics , they are the millions of people that will purchase Valentine cards this year. They are the people who will spend on average $126.03 per person this holiday (up 8.5% from last year). They are the ones that will collectively spend $4.1 billion on jewelry and $3.5 billion towards a romantic evening on the town. They are the 220,000 that is expected to give a wedding proposal today. They are the ones who will buy over 8 billion Sweethearts Conversation Hearts this year. And let’s not forget the ones who will spend $367 million on Valentine’s Day gifts for their pets this year. And the 15% of the estimated portion of women who will send themselves flowers. So I guess we could say that “love” is in the air, but probably a more accurate depiction would be that there is a shadow of love in the air. Would you like the truth? What most people think of as love is not really love. Love has nothing to do with flowers, cards, or candy. Love is not about romantic nights out on the town. It’s not about jewelry or (I hate to say) chocolate. In fact, society, as a whole, does not even comprehend true love. They see a glimpse of it here and there but they do not know it and cannot show it to others. That is unless they know the author of love. “Beloved, let us love one another: for love is of God; and every one that loveth is born of God, and knoweth God. He that loveth not knoweth not God; for God is love,” 1 John 4:7-8. Not only is love of God but God is love. You cannot know love unless you know God. Love is not only a general theme within the book of I John but also throughout the entire Bible. The greatest commandment of all is centered on love. (And let me be transparent for a moment; this commandment alone is enough to keep this child ever striving.) “Jesus said unto him, Thou shalt love the Lord thy God with all thy heart, and with all thy soul, and with all thy mind. This is the first and great commandment,” Matthew 22:37-38. We are to love God (Matthew 22:37). We are to love our neighbors (Matthew 22:39). Wives are to love their husbands and children (Titus 2:4). Husbands are to love their wives as Christ loved the church (Ephesians 5:25). We are to even love our enemies (Matthew 5:44). As believers in Christ we are to walk in love (Ephesians 5:2), be rooted and grounded in love (Ephesians 3:17), follow after love (I Timothy 6:11), and put on love (Colossians 3:12-14). The perfect example of true love (love that is willed, accompanied by emotion, and leads to action) is found in what God did for us by sending His Son to die on the cross for the sins of mankind. “Greater love hath no man than this, that a man lay down his life for his friends,” John 15:13. We now know what love is because God revealed Himself to us. We love Him because He first loved us and only after perfect love is manifested to us can we show true love to others. You will never know love until you know God’s love. If you do not know Him, cry out, repent of your sins, and trust Him to save you. He’s waiting. If you do know God and His love make it a point to read the chapter on love today (I Corinthians 13). And live it out, because now you can. Loved this post!!! I think we let ourselves forget what true love is, I know I have, so thank you so much for the reminder!!! It’s sad to me that people who do not know God can’t know what real live is, and they don’t even realize what they are lacking! What an awesome Father that we have that shows us true love!! !